PubMed is the primary research database for biomedical literature. Maintained by the National Library of Medicine, it was first made free to the public in 1997 (watch Vice-President Gore make it official). 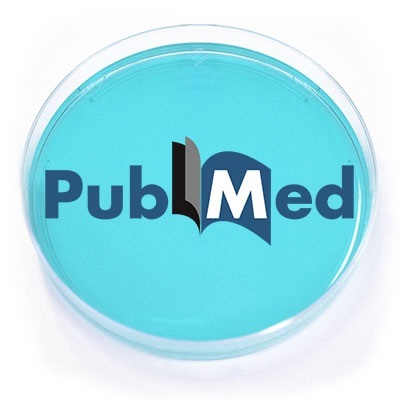 PubMed contains the records of over 27 million articles from journals and online books. It covers the life sciences, but also veterinary science, medical education, bioinformatics and health care administration. PubMed has articles dating back to the mid- 1960s and new citations are added daily. If you have already used PubMed then you are aware that it works differently from natural language searches like Google Scholar. If you search for “heart attack” you will be directed to articles on “myocardial infarction”. That’s because PubMed uses controlled vocabulary called MESH (Medical Subject Headings) to standardize searches. If you need help finding the right words or phrases to put in a search, you can review the MESH subject headings before you search for articles. How do PubMed and Google Scholar matchup? In 2006, a UIC librarian conducted a study comparing searches between Google Scholar and PubMed. While Google Scholar often returned more results for each search, many of those articles were off topic. Google Scholar’s natural language searches may be more intuitive to use, but the controlled vocabulary of PubMed will get more exact results. Google Scholar is a good secondary resource to use to retrieve older articles (pre-1960s) and grey literature. PubMed is primarily a citation database. When you use PubMed in conjunction with UIC Library you are linked to the full text articles that the library has access to. To make sure that you are using PubMed through UIC, start a PubMed search on the library website. If you create a personal My NCBI login you will also see full text articles through UIC when you use that login. UIC doesn’t have access to every article listed in PubMed. Look for the blue “Find it at UIC” button to find PDFs. Some of the older articles won’t be available online but there may be a link to the Call Number for the physical journal in the Library of Health Sciences. As with any other database, when you find an article that has no full text link you can request that article through interlibrary loan. You definitely do not have to pay for the article yourself! One of the best features of PubMed is the level of online help provided. In addition to numerous text articles for beginning and advanced searchers, there are brief videos that help you use PubMed more efficiently. There is a PubMed channel on YouTube with even more video tutorials to watch. You might need help in exporting citations out of PubMed. Downloading citations from PubMed into a citation manager like RefWorks or EndNote requires some additional steps. Creating your own login to PubMed allows you access to My NCBI. In My NCBI you can save search strings, set alerts, save lists of citations and customize search filters. Do you want a monthly email with the latest findings in your field? Save a search in My NCBI and set an alert. You can also create a personal profile in My NCBI that posts your citations and research interests so that you can connect with other researchers in your field. SciENcv (Science Experts Networks Curriculum Vitae) is a new service available through My NCBI specifically for researchers looking for funds for federal agencies. Other databases such as Genome, Gene, Protein and PubChem are available through PubMed. To find the full list of databases in PubMed look at the drop down menu on the top of the search screen. The UIC Library hosts workshops online periodically about using PubMed and other databases that anyone can attend. For more help see the UIC Library PubMed tutorials.